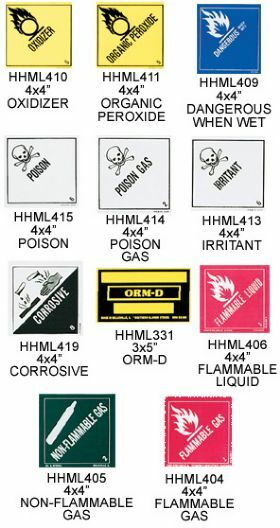 Eye-catching labels keep hazardous materials safely identified. Durable and easy to apply. 500 per roll. Please specify full Stock No. FOB Shipping Point.